For the past decade, Futurrex has been supplying most of the world’s top LED and HBLED manufacturers with enabling chemistries allowing customers to create cutting edge products and form factors with differentiated performance at continuously declining cost per device. Futurrex not only provides novel chemistries and processes, but these suites of products give customers truly turnkey solutions from front-of-the line processing to packaging. 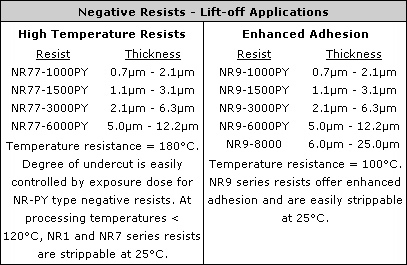 NR9-PY series for lift-off applications. 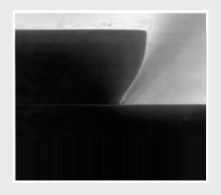 NR71-P series for mask applications in dry etching. 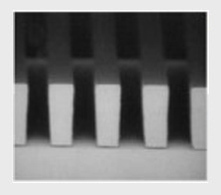 IC1-series for smoothing dielectric coatings and phosphor binding applications. RD6-series resist developer for quick resist development, universally compatible with the development of positive or negative resists. 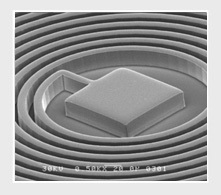 RR41-series for efficient and unique characteristics and performance during resist removal, including the safe removal of various temporary coatings, while being 100% compatable with Si, III/V substrates, II/VI substrates, Indium Tin Oxide (ITO) and all conventional metals including Cu, Ti, TiW, Au, Pt, Al, Ni, Ag-alloys, etc. EBR2-series for efficient and quick edge bead removing applications.